Bazinga! It's the whole Big Bang Theory group! 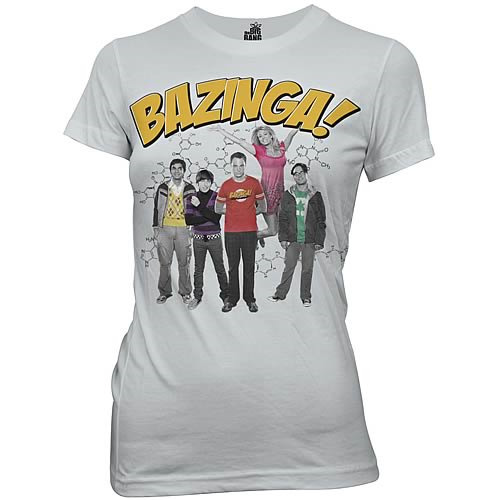 The Big Bang Theory gang on a t-shirt! Bazinga! It's the whole entire main gang from The Big Bang Theory! Sheldon's the only one who doesn't look so happy, but everyone else is just thrilled to be on the front of your excellent Big Bang Theory Bazinga Group Juniors Gray T-Shirt.